Clients who invested in any of our top rated MLB handicappers have already made tons of money this season, but it’s not too late to join in on the action and start earning that second income. 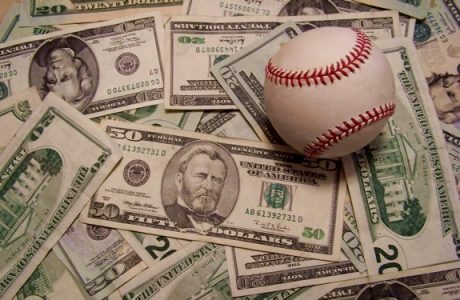 Here are a couple “Rest of the MLB Season Subscriptions” we deem to be extra good investments as they come at a reduced price compared to the start of the season. TJ’s “MLB Season Special” Subscription – $400! TJ Pemberton has been dominant at the bases and finished the 1st half of the season with a 197-130 Win/Lose record and a profit of $56,720 for dime betting clients. Add a win percentage of 60.2% and a 14.3% ROI and you must surely agree that TJ’s results are nothing but outstanding. Get every single play from now until the last game of the World Series for one low price of $400! Don’t miss a single winner on the diamond and watch your profits increase throughout the season! Big Discount – Big Profits – Act Now – Win Now! Don’t miss Razor’s 2016 MLB Access Package for $449! Ray “Razor Ray” Monohan is 4th on our MLB Leaderboard with a 132-100 Win/Lose record and earnings exceeding $27,000 at the bases as he headed into the All Star break. Mike Lundin’s MLB Season Subscription – $399.95! Mike Lundin has back-to-back winning seasons at the ballpark under his belt, and he’s well on his way to make that three on the bounce with a profit of $23,390 YTD, good for the sixth spot on our MLB Leaderboard. With a total of 207 winners on 366 plays through the 1st half of the season, none of our other top 10 handicappers have released as many winning selections as Mike. He’s far from tossing coins though with well thought out write ups provided with each pick.